Mold can be deceiving since they might not be visible at first. But in an environment that is warm, dark, and has an organic substance that can serve as their food, they can spread aggressively and grow rapidly. 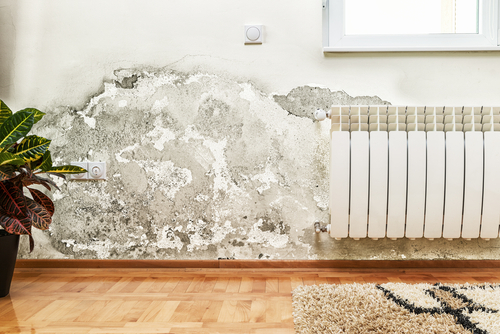 Moisture is the main cause of mold growth. Unfortunately, they are not very obvious once they start developing and they might have already grown once they appear visible. Before your house gets eaten by mold, watch out for these common causes and avoid the rapid spreading of mold. The weather is to blame when you live in a humid area. You will notice mold growth on walls and benches when it rains for several days. Drying clothes indoors may also be the culprit. When your house has been affected by flooding, it will be wet for several days and even weeks so the possibility of mold growth is high. Leaks from roof and pipes are the worst because they might be left undiscovered and it’s already too late when you find out. Condensation doesn’t only collect on cold metal pipes but also on cold concrete floors even when there’s carpet over the top. If the air in your home is not circulating properly and is poorly ventilated, it can create stagnant moist air and mold may develop. Steam and water evaporation creates humidity that needs to be circulated outdoors so keep your windows open. There are many causes of mold growth. If you are a homeowner, you might find this a little annoying but just remember that moisture is the number one culprit in mold growth. Whether it is in the kitchen, in the bathroom, or in the attic, make sure that air is circulating properly inside your home to avoid mold in the long run.